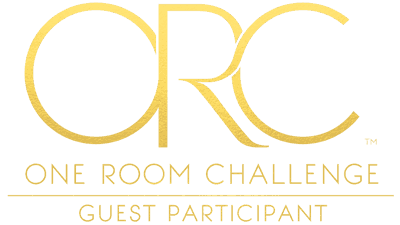 It’s that time of year again, time for the One Room Challenge. And it seems that no matter how busy and overwhelmed I already feel, I can’t resist the siren song of the One Room Challenge. It’s stressful and hard, but after 6 weeks, I have a gorgeous, finished room. 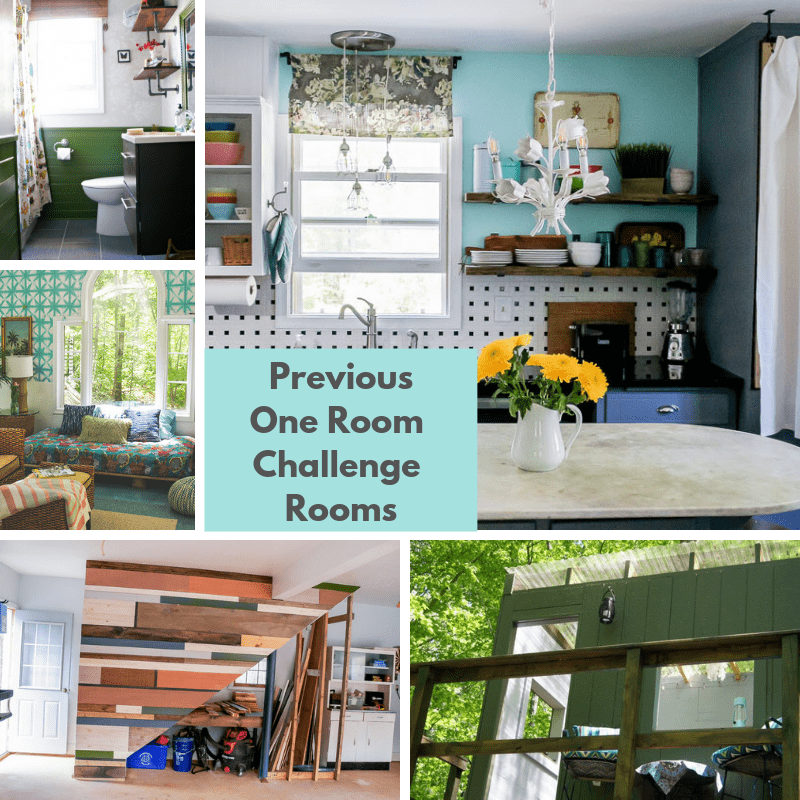 The One Room Challenge is helping me complete my home, one room at a time. Last spring, I completed my kitchen, which of course made all the other rooms on that floor look bad. 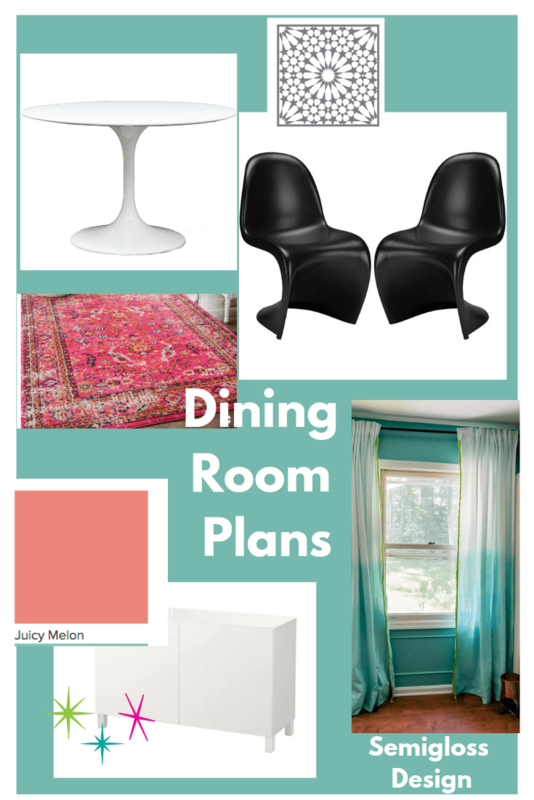 So this fall, I’m redoing my dining room. 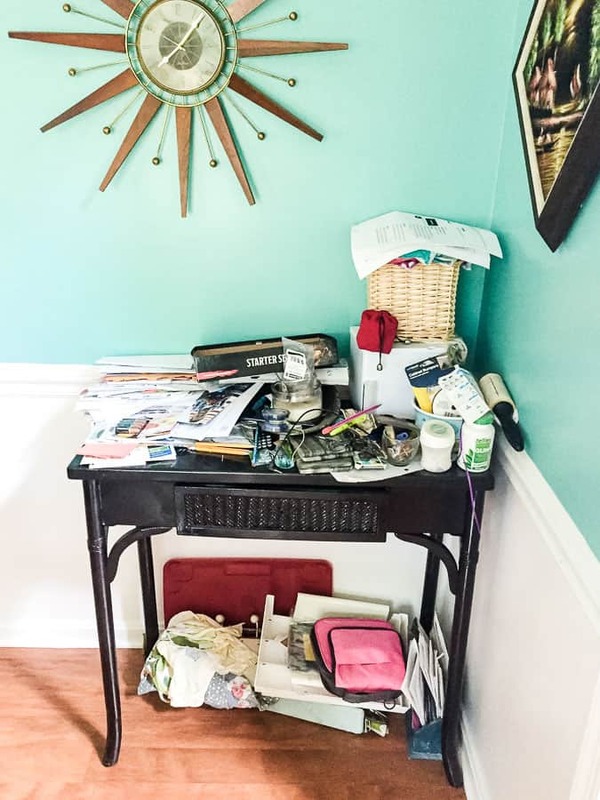 Twice a year, Linda from Calling it Home invites bloggers all over the land to join her in making over rooms in their homes. 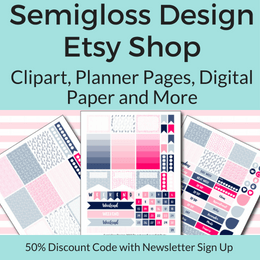 There are 20 featured designers and typically around 200-300 other bloggers like myself who join the fun. In just 6 weeks, we have a new room that we feel proud of, plus we’ve made so many friends along the way. This year, instagram users are invited to join as well. It’s not a bad space, but it’s time for some changes. The curtains need to be hemmed like yesterday. And washed. And ironed. And we have storage issues. This is where all the papers get put and I don’t want to see them anymore. My desk of shame. 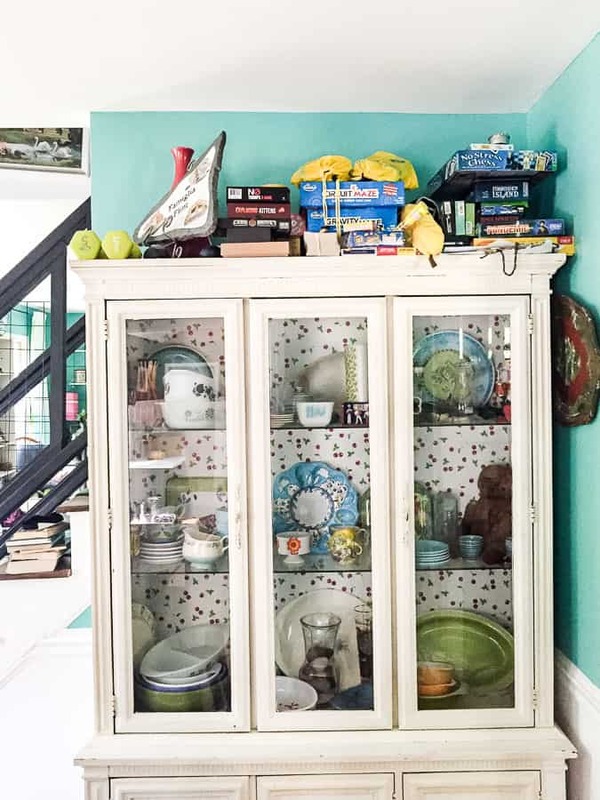 The china cabinet came from our first house. 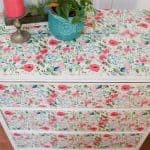 It was one of the first pieces of furniture that I ever painted. I had always envisioned a built-in cabinet here, but the more that I think about it, I just want a buffet here. Something with plenty of storage. It’s in the process of being painted and will be sold to fund some of the changes. In the winter, we spend a lot of time at the table playing board games when we’re snowed in. So we need storage for those games. I would also love a place to put my kitchen linens and special dishes. 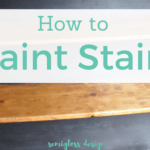 Paint the lower portion of the wainscot. I did this in my living room and I’m in love. Fun treatment for the ceiling. So basically, the chandelier and the wall color are the only things staying the same. *I should also mention that my family hates my new table and chairs. And they don’t think I will like a round table. If they’re right, then plans will change drastically I guess. 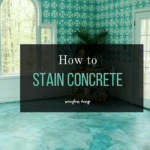 See the finished room here! 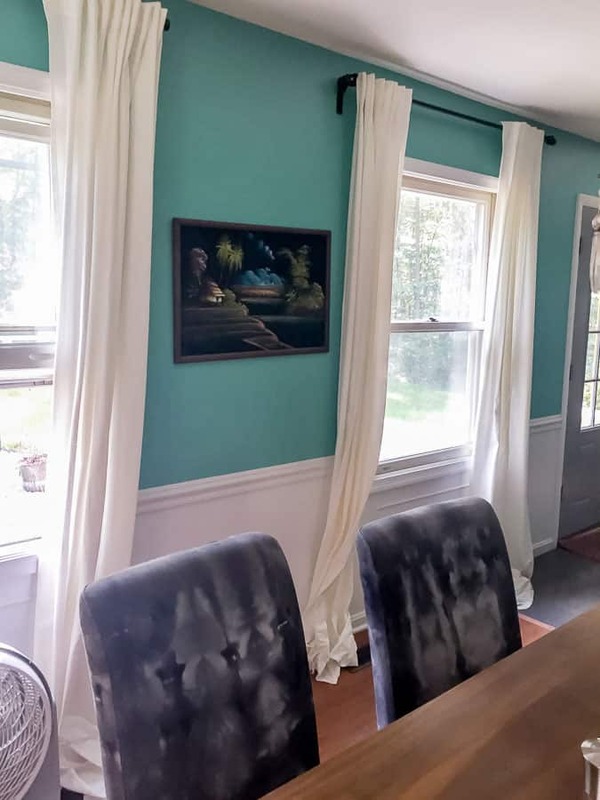 Love that you a tackling the dining room this round, that plan looks great. Bonus!!! It will be all done just in time for the holidays too! I’m so excited to have it done for the holidays! What a great plan! And I agree how wonderful will it be to have a new space for the holidays! Yet another perk of the ORC! Thanks! The ORC is great for so many reasons! Emy, I’m so glad that you’re participating again! You have such a great space to work with! I hear you about not wanting to see paper on the desk. I can’t wait to see how this space gets transformed after 6 weeks! Good luck! The teal isn’t going anywhere. There’s just more of it now. Thanks for stopping by. Ohhh fun! I can’t wait to see this space transformed! I love your plan! I always love how you use color, Emy. 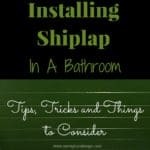 I look forward to seeing how you finish your dining room. Thanks, Stacy! I love color!! oh no on the chairs! my kids LOVED those chairs and were not happy i sold them. 😉 i love the plan and can’t wait to see it come together. I love the plan you’ve chosen. That round table and those chairs! Yasss! I think you will love both in the end. Thanks Ola! I’m so excited about the table! 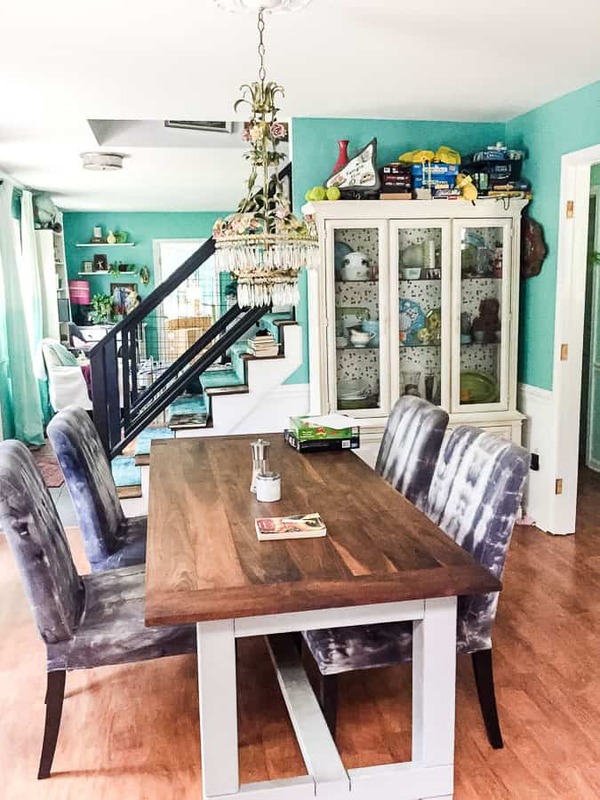 Emy I love your bold use of color and your plan for this space is so fun! Your family will come around! Looking forward to following this transformation! Thanks Lisa. They never trust in my plans until I’m finished. Your use of bold color is fantastic! Can’t wait to see how this room turns out. Thanks Diana! I love color! I love how you use color so boldly! It’s going to be amazing. Emy I think your choices are amazing! I can’t wait to see what you end up deciding for the rug and I’m so glad you are keeping that incredible wall color! So looking forward to following along for this transformation. Thanks Tina! I’m still working on picking out a rug. I think I have it though. love love LOVE those chairs!! So fun. Also, if you figure out how to handle the paper clutter let me know. We are constantly drowning in paper clutter!! Thanks Sarah. I’m still trying to figure out the paper clutter. Love your inspiration! I have a “desk of shame” also…lol! Real life, right? Thank Jaclyn! Even my computer desk is covered in papers, but it’s not as bad as that desk. Hoping I figure it out. Emy – I just adore your eclectic style – so colorful and vibrant that it just makes me smile! I’ve followed along on your previous ORCs and I cannot wait to see the amazing reveal! Thanks Jen! I love using color in my home. It makes me happy. Thanks Libbie! I can’t wait to spend the holidays in my new room. I like the modern direction your dining room is taking. And I hope your family gets on board with the table! Good luck to you, I’ll be following along! I really like your new table and chair inspiration, and think a round table could really work in the space. Can’t wait to see what you decide on.